Eva Scrivo demonstrating the art of balayage. Balayage is one of the most popular and commonly asked for services today. Most colorists are performing the service successfully but some are experiencing challenges. MODERN decided to check in with the Queen Of Balayage - Eva Scrivo - to find out what she sees as common balayage mistakes. 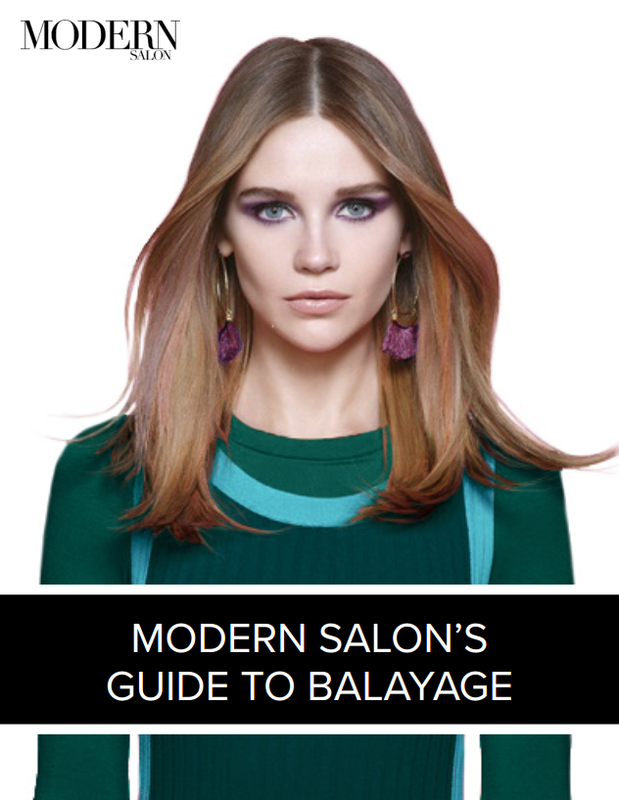 Think you know balayage? Think again. Read our guide to the technique to become the ultimate expert. PRODUCT CHOICE: Most colorist use the wrong type of bleach and/or apply it incorrectly. Look for dense powders or paste lighteners, such as SilkLift by Goldwell. Many like to use clay-based lighteners, which are easy to apply but typically do not contain enough ammonia to lift hair to a bright, clear blonde, unless you’re starting with a level 7 or lighter natural base color. HEAT: Heat often makes a real mess of things. Think of what happens inside of a foil when you add heat and how the lightener expands and reacts. In the case of balayage, there’s no foil to contain the bleach, which ends up going all over the place and “spotting” the surrounding hair, thereby exacerbating the appearance of gold.